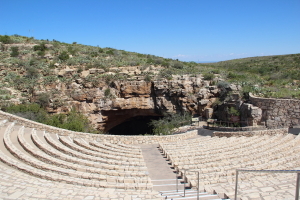 Carlsbad Cavern is the most famous of over one hundred limestone caves found in Carlsbad Caverns National Park, a UNESCO World Heritage Site in the Chihuahuan Desert, New Mexico. The biggest cave chamber in the park and in fact in North America, is the Big Room. The Big Room can be accessed via the Natural Entrance route into Carlsbad Cavern or via an elevator located within the visitor centre. Each summer Carlsbad Cavern is home to thousands of Mexican Free-tail bats, which take up residence in the cave between March and October. 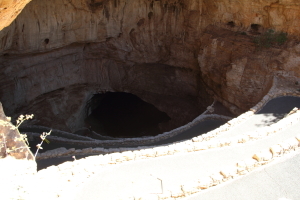 I did a self-guided tour of Carlsbad Cavern, entering via the Natural Entrance. This is a steep 1.25 mile long, 750 feet descent (equivalent to approximately 79 stories) via a paved and lit switchback route. 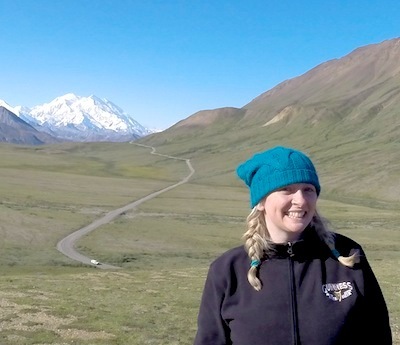 There’s a 1 mile perimeter trail in the Big Room at the bottom of the Natural Entrance trail which is approximately two-thirds wheelchair accessible. Note, baby strollers (pushchairs) and walking sticks are not permitted in the caves. Carlsbad Caverns contains a range of natural features; in addition to stalagmites and stalactites you can see columns, soda straws, popcorn (not the type you want to eat! ), helictites and draperies. 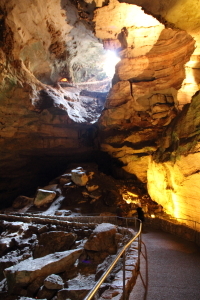 Learn more about them in the National Park guide to Cave Geology. Each night at sunset, the bats stream out of Carlsbad Cavern in order to feed. 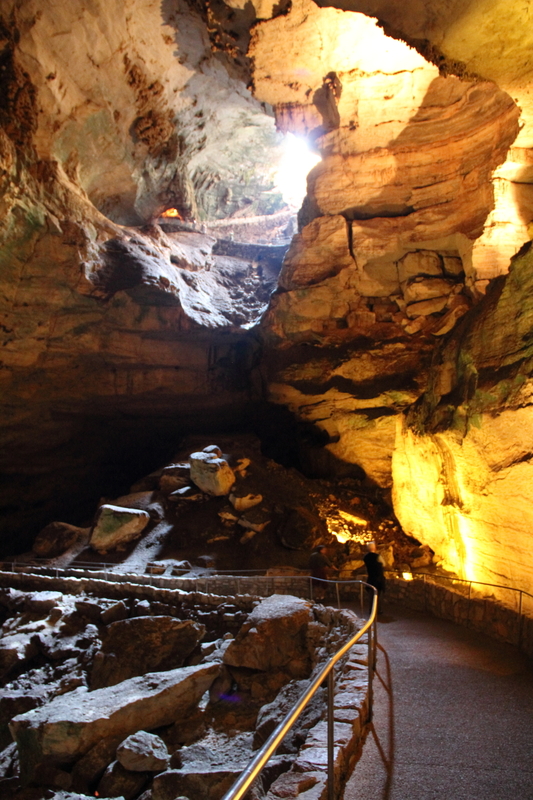 Visitors can watch this mesmerising experience up-close as the National Park Service has built an amphitheatre around the natural entrance to the cave. In order not to disturb or scare the bats, the public must remain silent and camera equipment is banned. That’s fair enough. Observing the bat flight can take anything from 20 minutes up to two hours depending upon bat numbers. It’s an incredible experience to watch and a little unnerving to recall that before watching this display, we were deep down in the very same cave with all of those Free-tail bats! Silence is not only good for the bats, it enhances the experience for visitors too; it’s quite something to be able to sit there and not only watch hundreds of thousands of bats stream out of the mouth of the cave, even more amazing to actually hear the fluttering of their tiny wings. 400k bats were recorded in the summer of 2005 but this number can grow to approximately 750k by the time the bats are ready to migrate in October, when they fly south for the winter. During my visit one October, the park ranger estimated that there were approximately 750k bats residing in Carlsbad Cavern! 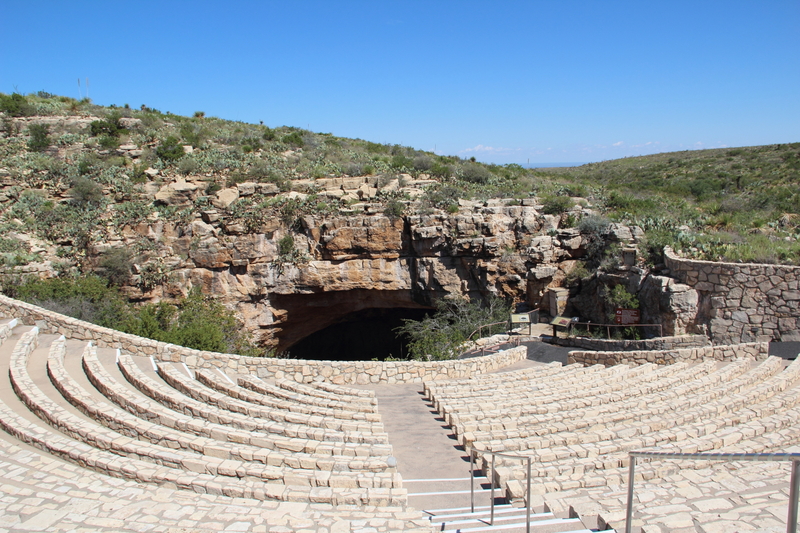 If you visit Carlsbad Caverns National Park, I highly recommend you explore the cave, via the Natural Entrance if you are able and stay around to watch the sunset Bat Flight Program.